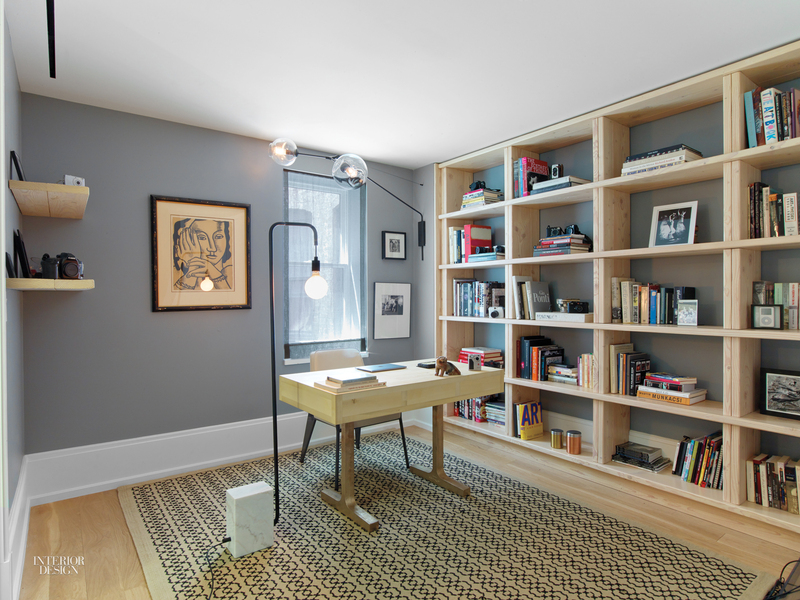 The study in this Upper West Side apartment by 2Michaels features a Tyler Hays Mason desk in holly with a bronze base and a Lindsey Adelman swing-arm sconce. The custom window treatment is linen strié. Invisible steel profiles secure the stacked oak beams that compose the 25-foot-tall office structure in this 18th-century stable renovated by Studio Farris Architects. Protrusions and recesses became either shelves for books or steps that lead up to the mezzanine, outfitted with a pair of black linoleum desktops. 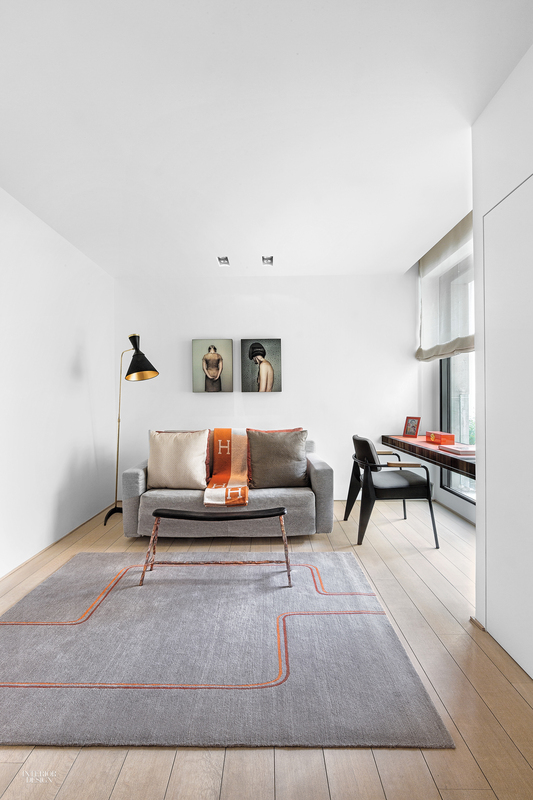 Designed by Dwek Architecture + Partners, the office, which doubles as a guest room, is furnished with a Valentin Loellmann stool and a Jean Prouvé Fauteuil Direction chair; the artwork is by Erwin Olaf. 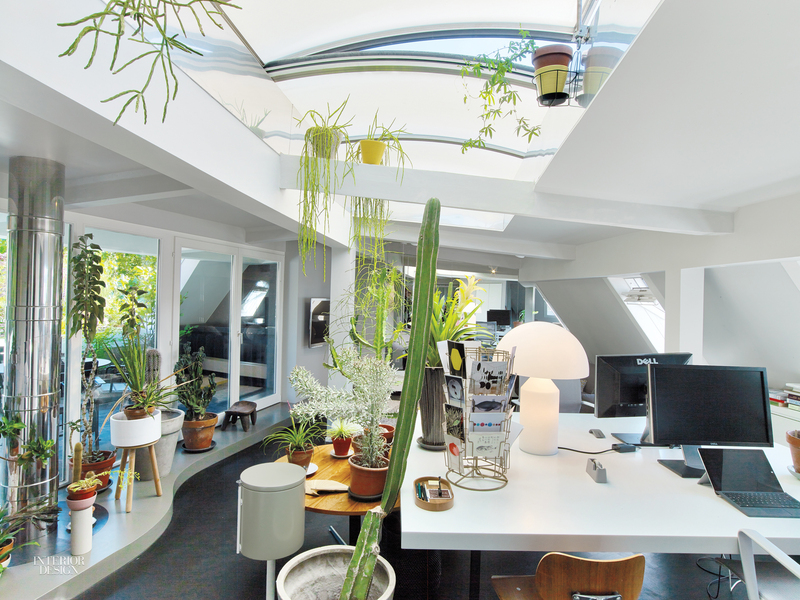 A twisting staircase in this Stuttgart house designed by Peter Ippolito and Stefan Gabel leads up to the skylit top floor maisonette that is home to a succulent-filled office study with an adjacent terrace, a TV lounge, and a sleeping area. NADAAA, founded by Nader Tehrani, masterfully renovated this 1920's house in Washington, D.C., with simple plywood. The home office’s Juhl desk and Wegner executive chair are vintage and reproduction, respectively. 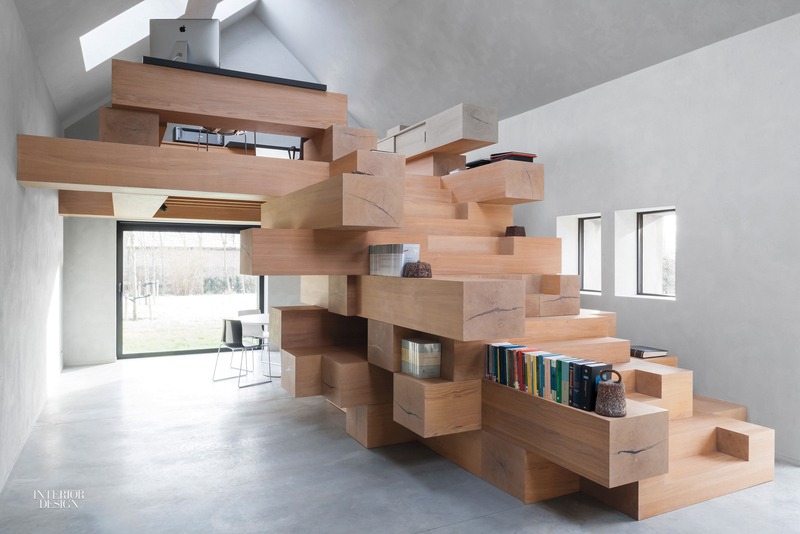 Custom bookshelves of birch plywood and lacquered steel dominate the office designed by Marie Deroudilhe. This is the only room on the apartment’s top level.